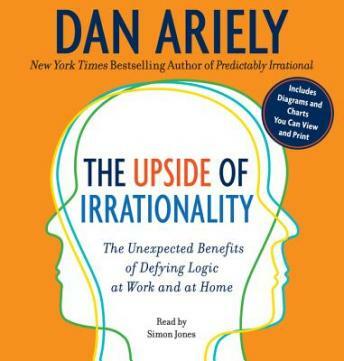 Listen to "The Upside of Irrationality: The Unexpected Benefits of Defying Logic at Work and at Home" on your iOS and Android device. Behavioral economist and New York Times bestselling author of Predictably Irrational Dan Ariely returns to offer a much-needed take on the irrational decisions that influence our dating lives, our workplace experiences, and our temptation to cheat in any and all areas. Fans of Freakonomics, Survival of the Sickest, and Malcolm Gladwell’s Blink and The Tipping Point will find many thought-provoking insights in The Upside of Irrationality. It's a good book. Much of it is just common sense. But because of individual biases change does not come about easily. Executive compensation for example.